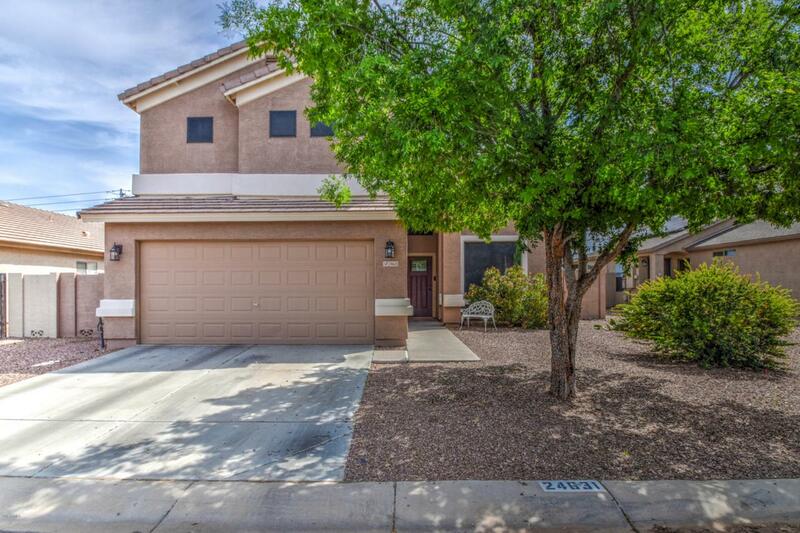 Great opportunity to own a move-in ready home in the Estates section of Magic Ranch. Save on Energy with SOLAR! 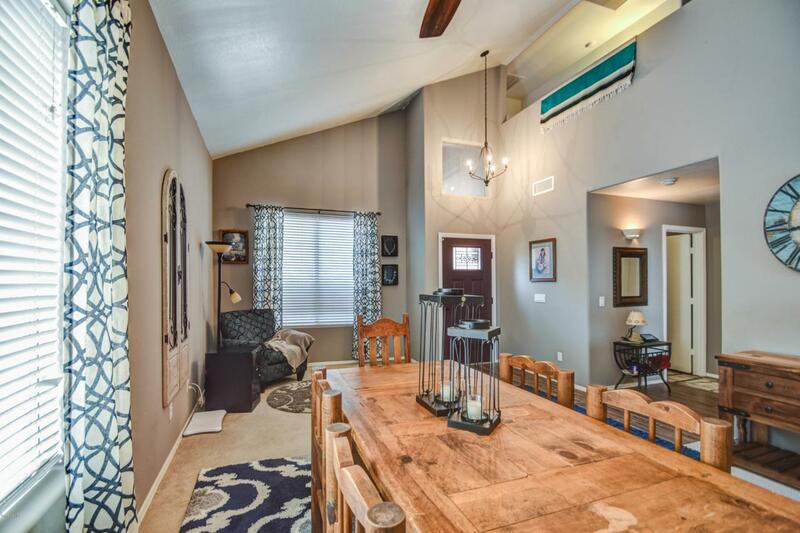 This 2-story home has a first floor bedroom and full bathroom. 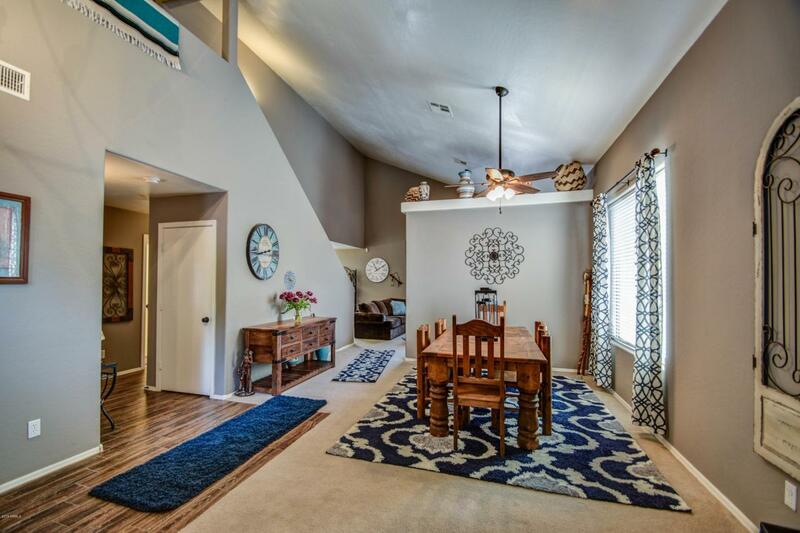 The owner's suite upstairs and 2 more bedrooms and another full bathroom are located upstairs. A spacious kitchen includes all appliances, island with bar seating, pantry and an eat-in area. 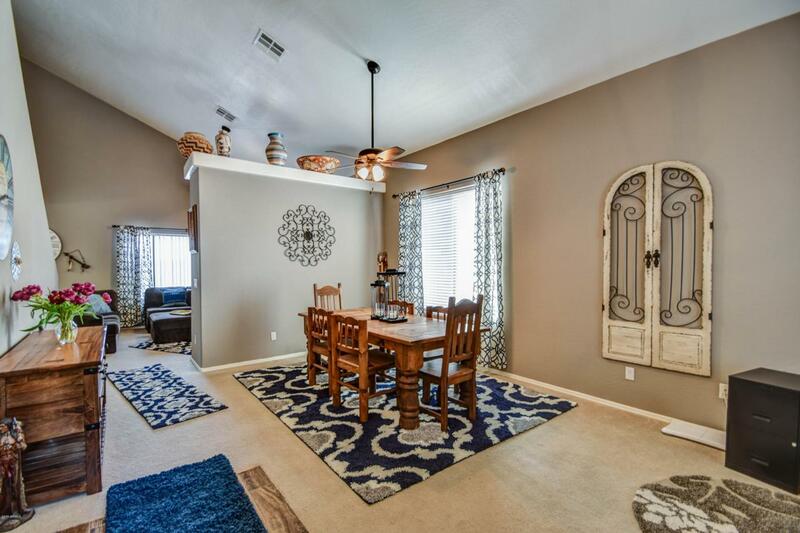 Upgrades include flooring, neutral paint, light fixtures, ceiling fans, vaulted ceilings, sunscreens and more. The owner's suite includes double sinks, soaking tub, walk-in shower, private water closet and walk-in closet. The back of the home faces open desert and has a covered patio with desert rock.